Building on my humble knowledge, I get to have some observations and analysis of the world I live in. 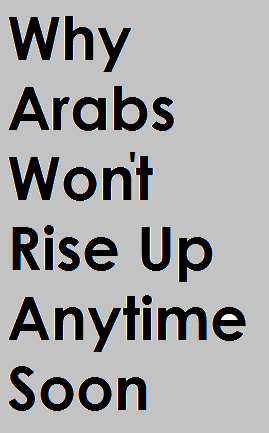 So here’s one for the day: Arabs won’t rise up anytime soon! My aim here is not to push you to lose hope on Arabs progress, but rather trying to shed light on certain elements of why are the Arab nations still way behind in terms of technology, economy, civil-rights, and politics, just to name a few. 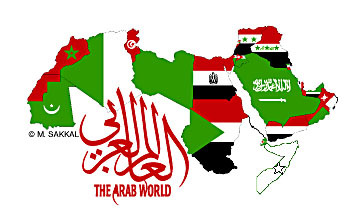 Yes, I’m an Arab and I sadly got to the conviction that Arabs won’t rise up anytime soon. If you observe how nations grew into world powers you will realize that most of them have two main factors in common: Institutionalization and care for public good. Apparently, those two factors are missing (either one or both) from almost all Arab countries! We’re mostly an individualistic nation: a nation formed of hundreds of millions of individuals who want to shine individually rather than as a nation. Collaborating together for the common good in a well-structured and institutionalized manner is something perhaps beyond the short-term wins that those individuals perceive. We dislike systems, processes, policies, procedures, long term goals and the common good when it contradicts with personal gain and hence we try to avoid them as much as we could! So if we can avoid filling a form, not follow a procedure, rule, or policy (or at least get away with it), take a shortcut, or go for a quick win, we’d will go for it. Examples of what I mean here can be as small as not standing in line whenever there is a queue to not stopping on a red light or following the road signs. It can also be as major as politicians not acting as part of an institution with a system, but rather acting like heads of mafias, bending and changing the rules, the governmental institutions and policies to fit their own needs and desires. The bigger problem is not that they do it, but rather no one actually holds them accountable for what they do. Many people accept such a behavior and thus the issue exacerbates with time. Even with the so-called “Arab Spring” and the people rising to demand for their rights, the same thing was done all over again, “leaders” took charge and bent rules to fit them and their “group”. Just to be fair, there are some positive deviants from the norm, like in Dubai and Abu Dhabi, where they actually plan years ahead, put systems and policy in place, and do proper enforcement and follow up. In Egypt, though millions go on demonstration, they leave the roads clean and ensure things are properly back in place. 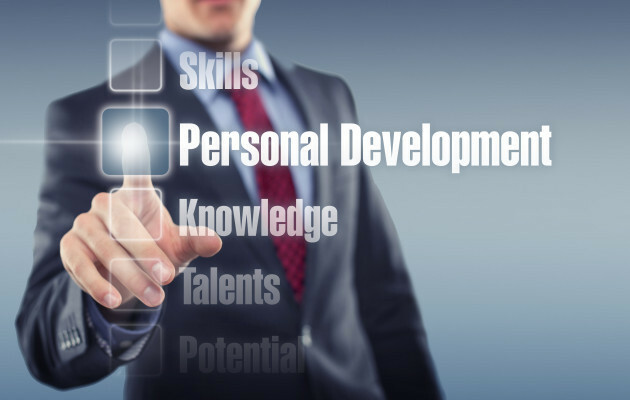 Nevertheless, most of us are always chasing the quick wins, the individual recognitions, the shortcuts and the “what’s in it for me” attitude, at least for the time being. So in a nutshell, we’re mostly an individualistic nation, we produce endless shining stars but not a collaborative galaxy! I’m saying all of this not with a perspective of despair but rather a belief that everything is feasible and if we learn to change how we think and act, we can definitely do wonders. Yes… those people too have been treated with a lot of prejudice and “hostility”…especially Arabs who have been discriminated against and persecuted by the so-called “Democracies of the world” including but not limited to the United States of America, United Kingdom, France and the so-called Jewish state of Israel. How come no one is calling them Anti-Semitic? How come no law is protecting those Semites as well? In fact, Western Jewish prejudice against Arabic Jews in that illegitimate state of Israel have been exacerbating over the years. This is showing the true colors of prejudice and hatred against Arabs in the “Western World” due to the simple fact that this Anti-Semitism is being fueled by Western academic institutions, media, PR, and by the power of guns. Moving away from the Middle East and to the global arena were most individuals with an Arabic name(whether Muslim, Christian or Jewish) are ill-treated and seen as a threat to the state whether at airports, police stations or daily life. Arabs, no matter how educated, cultured and well-groomed are still treated as second class citizens in many countries of the world. With prejudice and hostility fueled by the world’s media and governments for political reasons and financial revenues…this has become truly a weight on the Declaration of Human Rights and the principles and values that the UN and most world democracies uphold. In this context, I ask everyone, especially Semites, to ponder about “Anti-Semitism” and reclaim it one way or another. Demand that your governments, policy makers, media, businessmen and civil society in all its branches stand up to the challenge of putting things straight. Let there be no more prejudice or hostility against anyone in this world. May we all treat each other with humanity…our differences matter but our humanity matters more!